Two Way radio specialists, EARS plc have supplied Cargiant, officially the world’s largest car dealership, with a robust and cost efficient two way radio system capable of providing clear, effective and instant communication across their 23 acre, 5,000 car site in West London. EARS plc’s technical team provided a comprehensive solution for the dealership which met their specific need to provide a system which was able to deal with hundreds of staff calls over a very large site whilst allowing for greater level security for the dealership’s 600 members of staff. 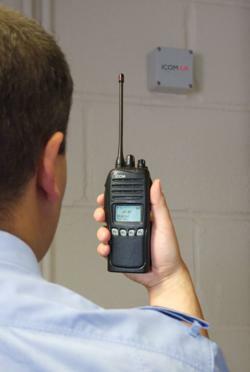 To meet Cargiant’s requirement, EARS plc provided the Icom UK i-LOC Security Management System. This system uses Icom IDAS IC-F4162S digital two way handportables working with a series of radio beacons strategically installed throughout the site. The handportables identify positional information about each handportable from the information send by the beacon. This data is then relayed back to a central server and all of the information displayed on a PC interface. The Icom IDAS IC-F4162S digital two way handportables are integral to the smooth running of the Cargiant operation. The IC-F4162S handportable allows Cargiant staff the opportunity to report to base that they are with a client just by pressing a button. When a client is interested in a specific vehicle the staff member has the ability to send out messages and client details to their nearest manager. For more details about EARS Plc please visit their website http://www.ears.plc.uk or contact their sales team on 020 8964 6699.